There’s no hardware as cool as space hardware. And there’s nothing cooler than watching astronauts and scientists testing out equipment to take us off-world — even equipment that was never used. Here are our favorite images of NASA testing its equipment on Earth. Top. featured, image: Reduced Gravity Walking Simulator, located at the Lunar Landing Facility at NASA’s Langley Research Center in Virginia, 1965, via Wired. 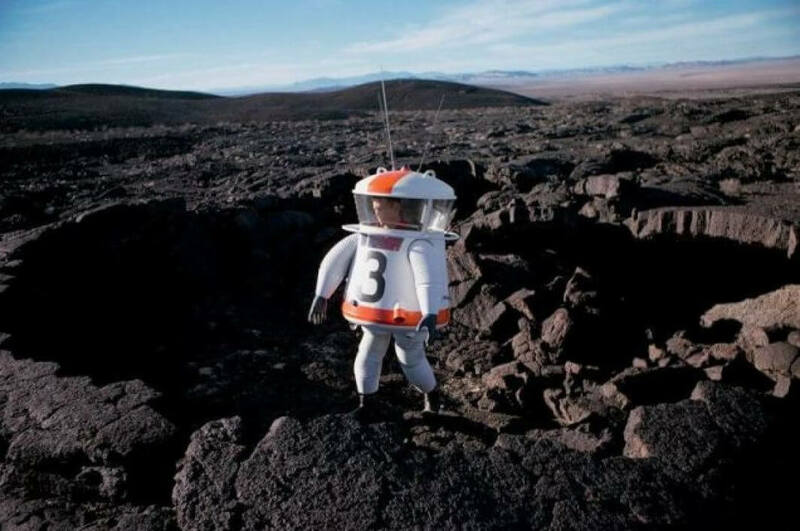 Inventor Allyn Hazard from Grumman Aircraft Engineering Corporation testing his moon suit mock-up in a lava crater in the Mojave Desert. The suit carried oxygen and food. Photo by Fritz Goro in the early 1960s. 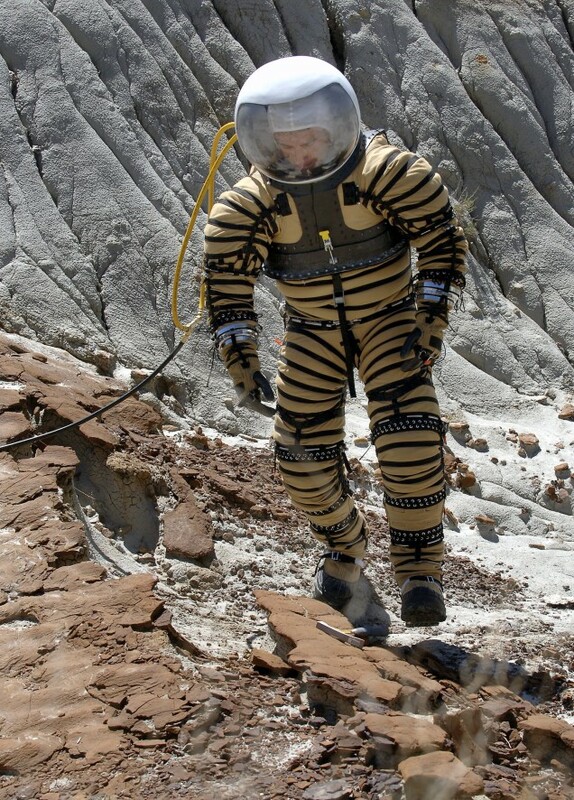 A University of North Dakota Space Studies graduate student named Fabio Sau tests out an experimental planetary space suit in the North Dakota Badlands near Fryburg, N.D., on Saturday, May 6, 2006. When Kennedy committed America to going to the moon in 1961 no one had any idea how to do it. NASA had to learn everything from the ground up, build a giant rocket, invent new kinds of space suits, and revolutionize computer technology. It was all pretty amazing. There’s a great series of documentaries about this called Moon Machines. Are the Anunnaki from Planet Nibiru?